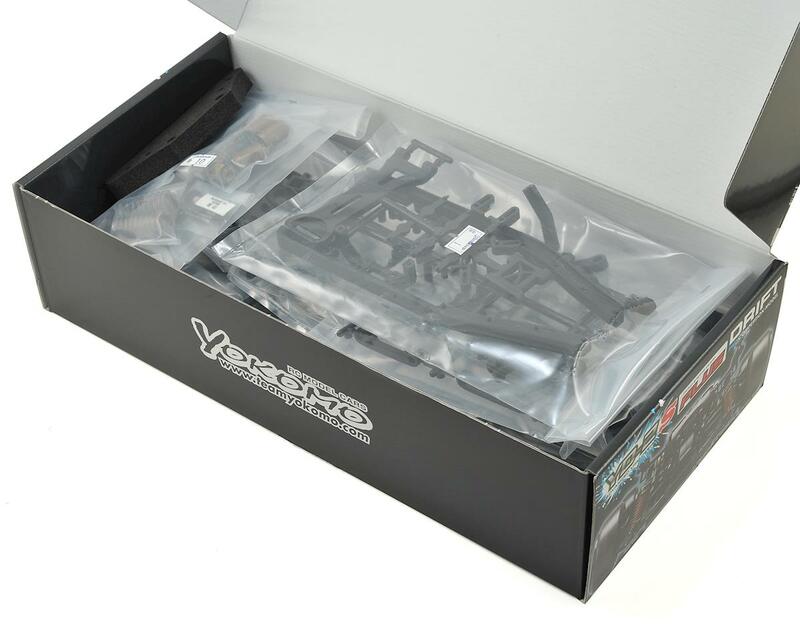 This is the Yokomo YD-2S Plus 2WD RWD Drift Car Kit. 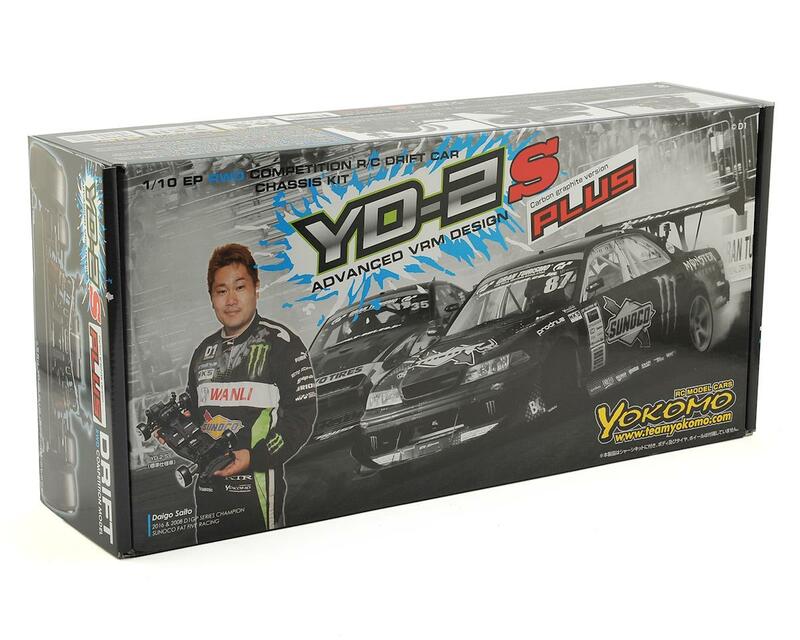 Yokomo has introduced the YD-2S Plus, the latest addition to the popular YD-2 series of drift cars. 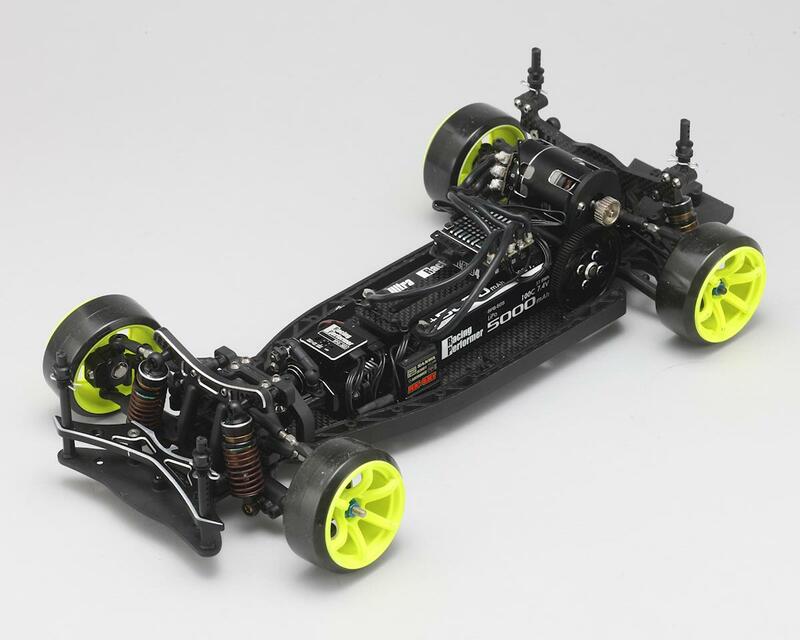 Based off of the standard YD-2, the 2S Plus will feature a redesigned motor and transmission section with the motor being mounted in a high, rearward facing position for improved traction especially on very slippery surfaces. 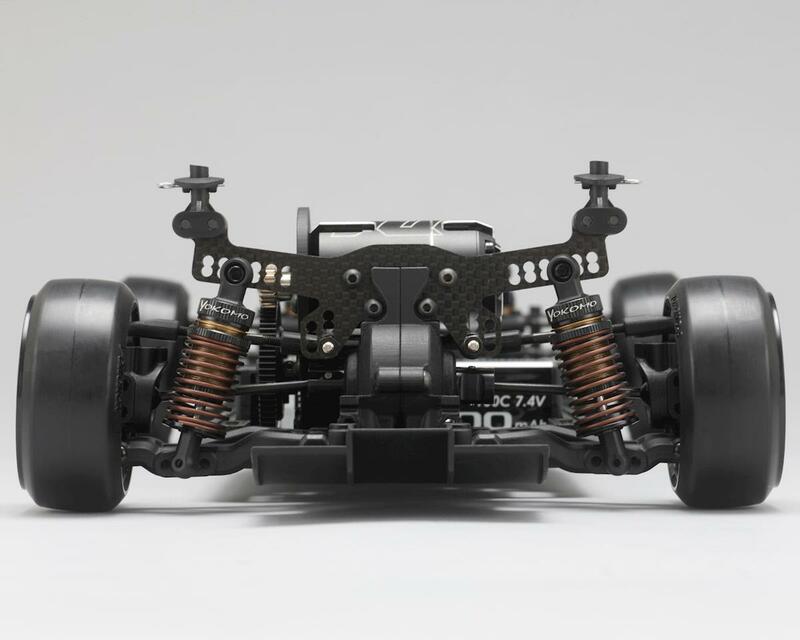 The chassis is updated, taken over from 1/10th buggies, with a carbon fiber main plate and composite side rails, doing away with the common top deck. The construction will result in improved steering control and optimised dynamic weight distribution. 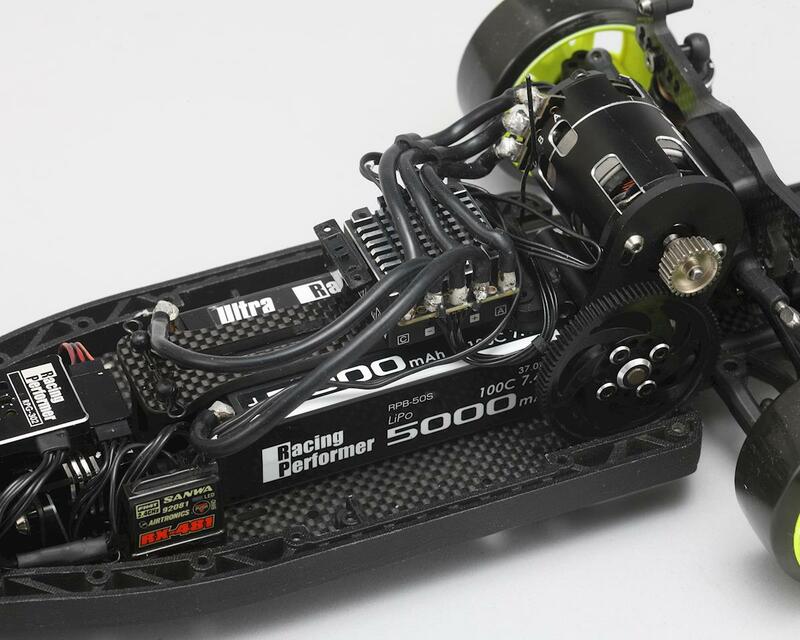 The kit will utilise shorty battery packs only. This specialized high-motor model is intended for increasing more rear traction. 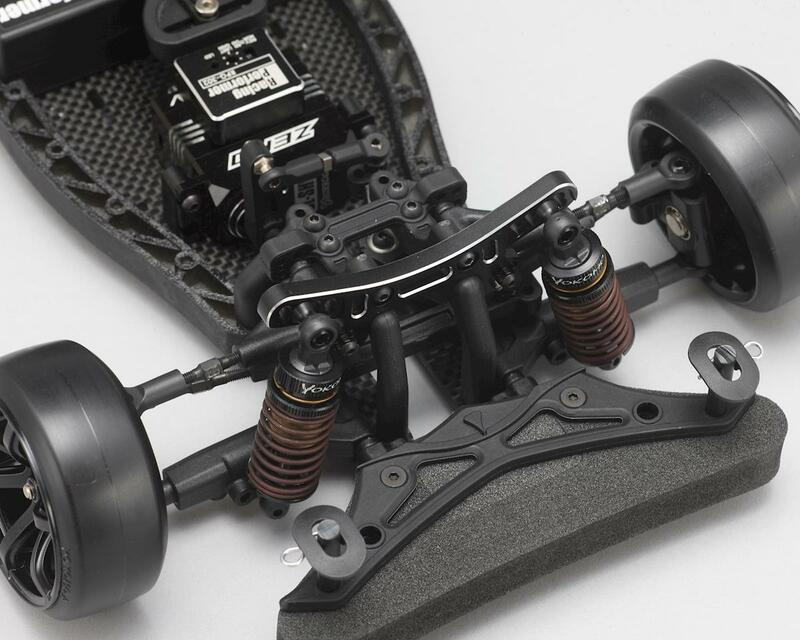 To make this possible, the YD-2S Plus features a designed Gear box to suite the ideal motor height, and also locates the motor a little rearward for achieving more and more traction for the forward move. NOTE: Wheels, tires and all electronics shown in photos are for illustrative purposes only and are not included. See needed to complete list below for a full list of items required to complete the model.